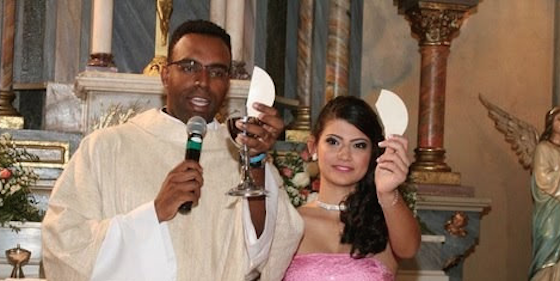 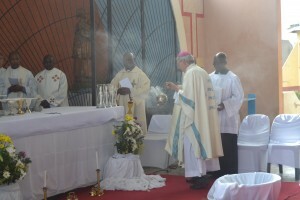 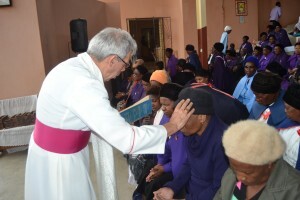 The pilgrims of the Diocese of Bethlehem, gathered at the Marian shrine: our lady of Bethlehem on the 12 December 2015 for the opening of the jubilee of Mercy. 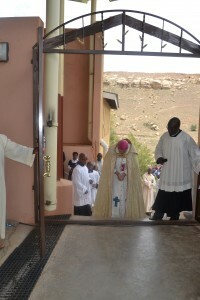 We begun by welcome note and expiation of the theme, by Fr Menyatso Michael Menyatso (the rector of the Shrine). 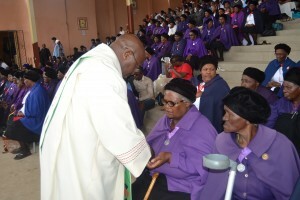 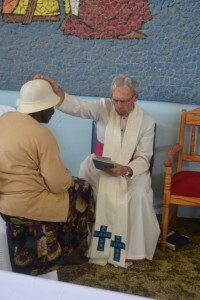 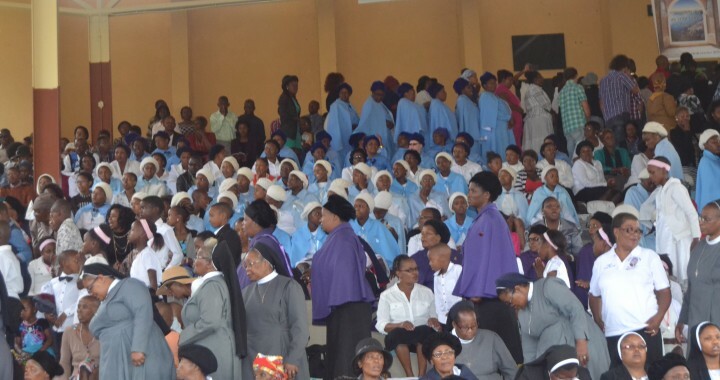 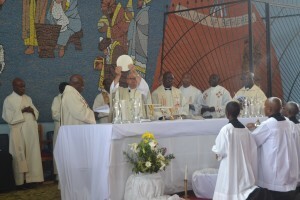 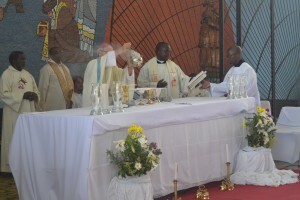 The Bishop opened with prayer, and followed by reading of the Papal Bull by Fr’s Mosebetsi Simon Mokoena (vicar general) Mpho Mathias Mona (diocesan MC) and William Kaupa (vacations). 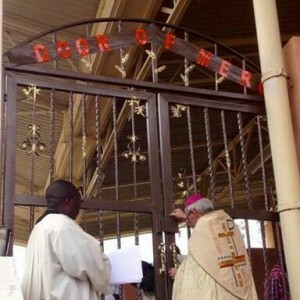 In light with the theme of the day, be merciful like the father, the procession led by the pilgrims praying the lumen mysteries to the Shrine via the stations. 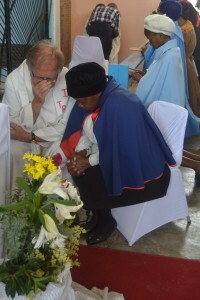 The ceremony in the Shrine begun by the Sacrament of reconciliation lead by Fr Buang Julias Mofokeng, followed by the anointing with oil by Bishop Jan the Groef and Fr Mosebetsi Simon Mokoena.